Last season Melbourne University fell one game short of winning their first Dewar Shield since 1967, losing to Harlequins in the grand final 53-3. If the club hopes to go one better this season they will need to do it with a number of new faces in the team. The club’s squad has seen large player turnover from the team that made the final last year. 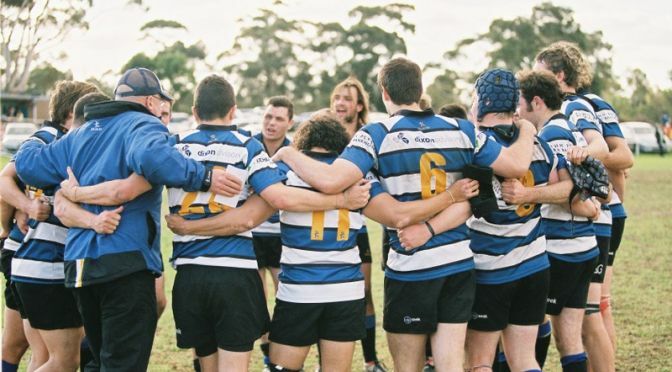 Former Melbourne University Rugby Club Head Coach and current General Manager Jason Jones believes the club has been a victim of its own success. “With success comes opportunities for a lot of our players. A lot of our players and coaching staff, with our success, have been made offers and given opportunities elsewhere. The new season will also bring a new coaching staff to the club. Jones has stepped away from coaching and into his new role. Former All Black and Auckland Blues representative Brad Mika was also in the coaching mix last season but has moved on to coach overseas. This year sees former Box Hill head coach Andrew Slyfield arrive. He will be assisted by Andy Gibson who joins Melbourne University from New Zealand where he coached the first-grade team for Linwood Rugby Club in the Christchurch top-division competition. In spite of the disruptions Jones remains positive about the outlook for the upcoming season. “What lies ahead of us is a bit unknown, we’ve had a changing of the guard, but rather than a negative I think it’s something that’s really exciting. “Last year was a very seasoned squad. We had a lot of dynamic players, a lot of strike power, and we did very well. “We’ve got six guys in the Rebels U20s which is fantastic for us. We’ve also got five allocated Rebels players at the club so we’ve got some strength,” said Jones. Jones highlighted the relationship between the rugby club and Melbourne University. “There are some challenges being a university club but there are also some massive benefits. Being aligned to the university we’ve got fantastic facilities that we can tap into. “Unfortunately, a lot of the players that play for us don’t actually study at Melbourne University. “We’re working very closely with the Melbourne University Sports staff – who have been fantastic – to work on the long term goal of how do we convert students who come on campus from different countries and get them around the club? Jones is seeing that work paying off. “This year we’re going to have a lot more people who are at the university playing for the university.